Emirhan inn Apart Istanbul is only 5 minutes away from Sultanahmet Tram Station by foot. If you are coming from IST Ataturk Airport, take the M1 Havalimani (Airport) - Aksaray line and get off the metro at Zeytinburnu, the 6th stop. You should use another token to enter the tram turnstiles on the same platform in order to take the T1 Zeytinburnu-Kabatas line. Take the trams marked Eminonu or Kabatas (They both pass from Sultanahmet station) and you will reach to Sultanahmet station. The whole journey will take almost an hour. 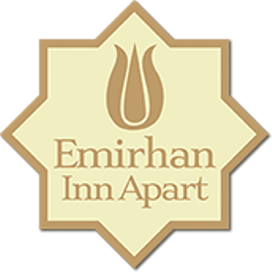 We would like to thank you for choosing Emirhan inn Apart hotel and we look forward to hosting you here. Hospitality is one of the cornerstones of the Turkish way of life. It is so important for us to provide all your accomodation needs. Emirhan inn Apart Hotel offers airport transfer services to and from the airports with magnificent view of the sea of Marmara along the coast road to the old city where the Hotel is located and offers sightseeing trips with discounted prices. This service transfer is to safe your time,to get you out off stressed, to help you for the luggages,guiding you as well at the first moments of your vacations. We wish you have nice & safe flights.Look forward to hosting you here at our lovely hotel. We are confirming your transport, when you come to airport you will see they are holding a board written your name. Book Direct and Save 60% Offer.! Emirhan Apart Hotel welcomes you with the comfort in your own home. Our flats have their own kitchen so you can cook and entertain your guests and with its a peacefull location you can enjoy your self and relax.